Unless you don't follow me on Instagram, Twitter, Snapchat or have been avoiding my social media interactions completely you will be aware that I recently visited Sorrento. It's a town on the coast, overlooking the bay of Naples in Italy, with fantastic views across to Mount Vesuvius. 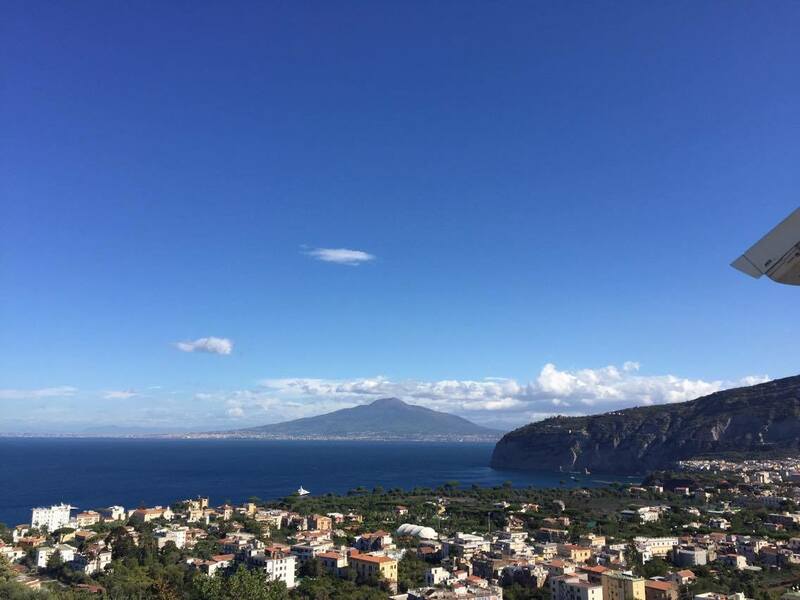 Sorrento is a holiday destination popular for so many reasons, all of which became immediately obvious. 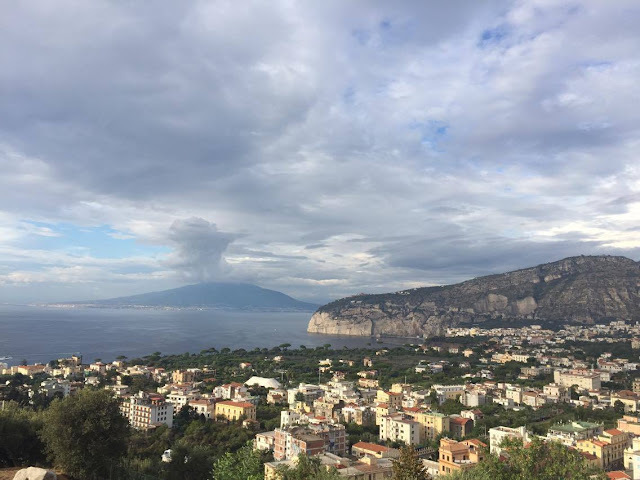 I had seen a few pictures of Sorrento and the surrounding areas, and was impressed by the number of places to visit and sights to see. 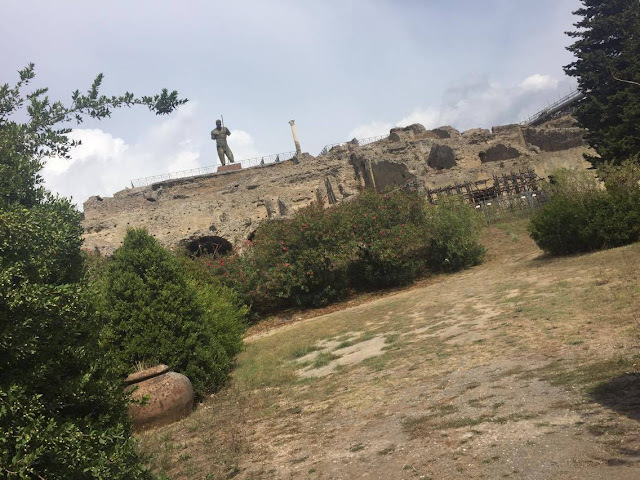 We stayed for ten nights so managed to see and do a lot, but a great thing about the region, is that you could easily go back for the same period of time and see completely different things. Minimal planning was required to see lots and still have a relaxing break away. For me, holidays have to be a mixture of relaxing and sightseeing, to unwind whilst also experiencing new places, cultures and seeing new things. 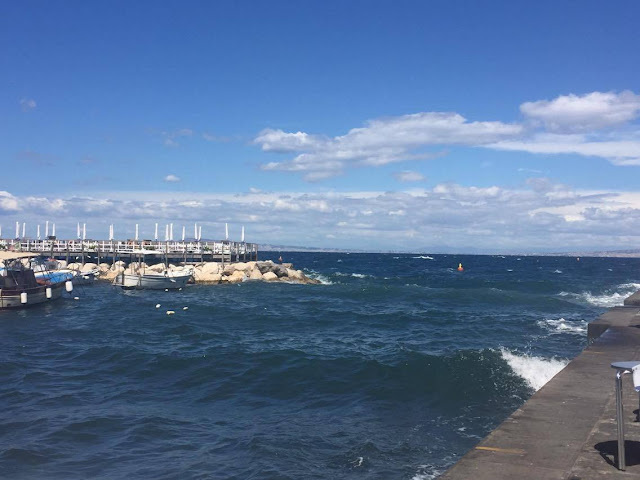 That said, it is important to me that when I go on holiday, I like to do things as and when I feel like doing them, so I tend to just go with the flow (and sometimes the weather!) and only plan a day or two in advance. Going away in September, the weather was hot but we did have a few days where it was a little cloudy and overcast. I don't mind a mixture of this type of weather, as it allows for days of sightseeing to be planned where the weather was a little more overcast, to do some real exploring without getting too hot and needing to constantly find the shade. The sunny days can then be saved for relaxing in the pool. 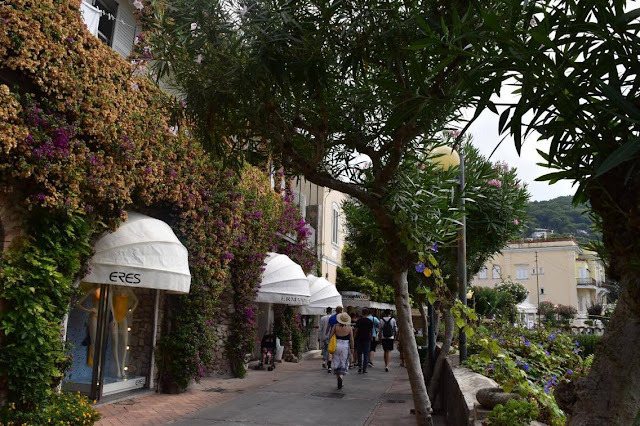 I think in the high summer months, the area around Sorrento and the Amalfi Coast tends to get very busy as the hot weather is a magnet for tourists, it is understandable really but if you are looking for for a time when it is less busy do try not to go during July or August. 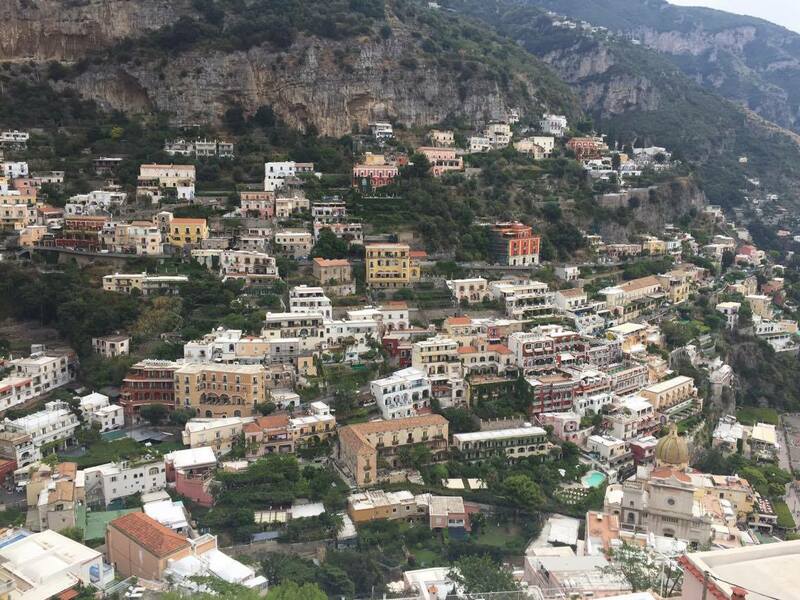 One of the sights that I had on my list as a must visit, was Positano. I had been eyeing this place up in the lead up to going away, I fell in love with how picturesque it looked with the pastle coloured buildings hugging the cliff sides. In reality it wasn't a disappointment! It looked just as good, if not better than the pictures I had seen, and the way it felt so relaxed and dreamy was great. We walked from the bus stop at the top of the town, down through the narrow streets, with many steps, amongst the houses to the bottom where there was a little port and restaurants. I think you had to go all the way to the bottom to really see how pretty this place was. Mount Vesuvius, well.. as soon as you are in Sorrento you will see this giant volcano across the bay and wherever you go in the surrounding area, it followed us around, and was a constant impressive presence during our stay. Everyday, the view of Vesuvius from the hotel poolside had a completely different character, presenting a different picture, particularly against the backdrop of the big sky. We had an amazing view of this from our hotel and could look at this all day and night and not manage to get the same view again. 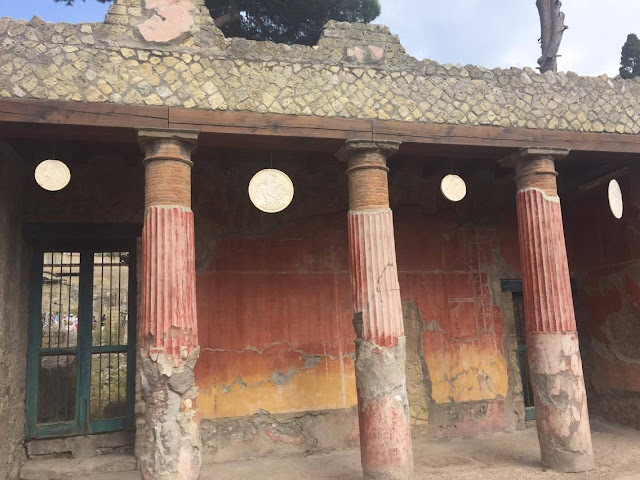 Pompeii should be a place familiar to everyone, so to get the chance to visit was a great opportunity. 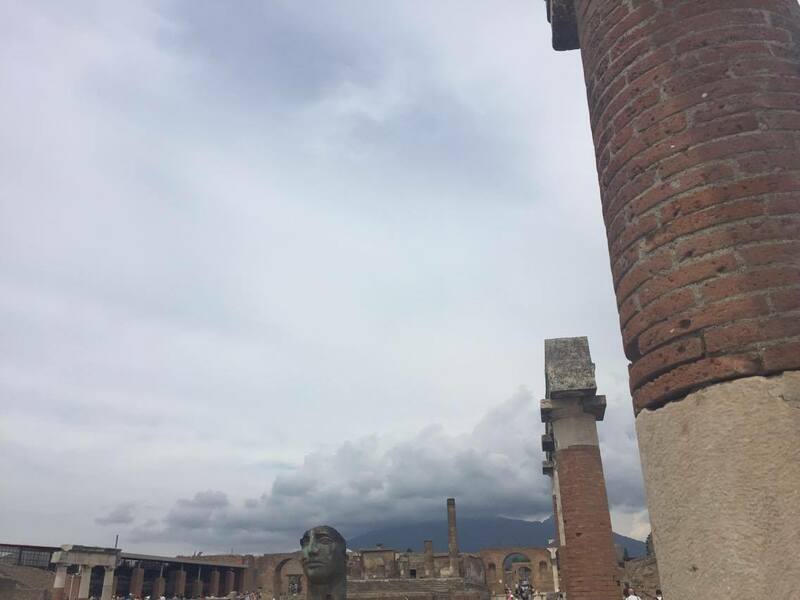 Pompeii was a roman town, covered by debris when Mount Vesuvius erupted around 2000 years ago. Uncovered a few centuries ago, walking around it gives a great impression of what life was like in a roman settlement, and some of the surviving Frescoes and Mosaics are incredible. I think in Sorrento this is one place that does get mentioned a lot and everyone did ask if we were visiting there or had visited Pompeii. I was a little unsure what to expect and I certainly didn't expect it to be as big as it was. 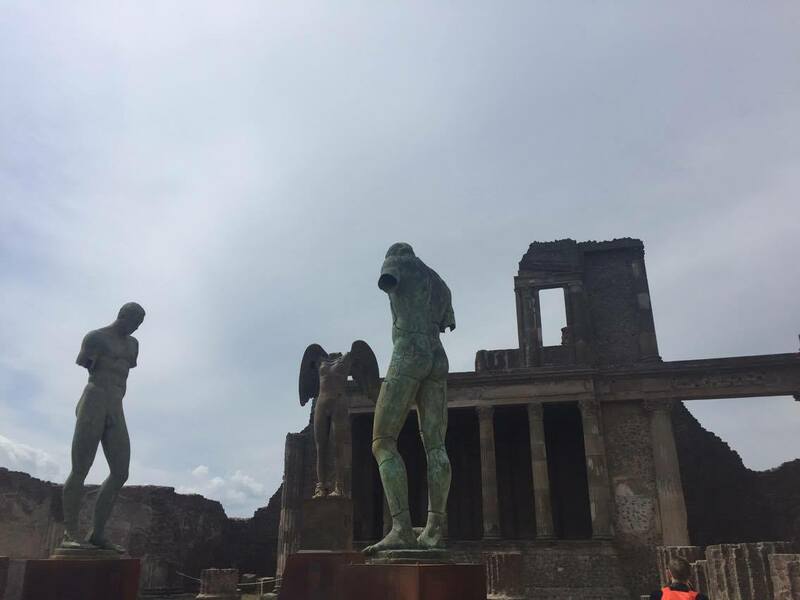 You really do need a full day to see the ruins of Pompeii. 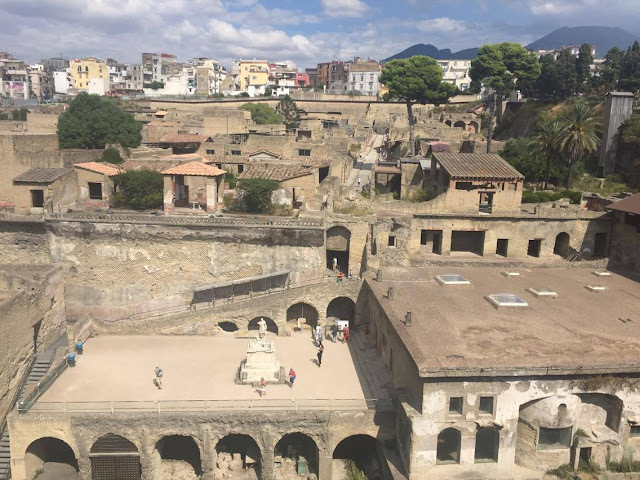 We also visited a smaller site, Herculaneum, which was also "destroyed" by the same eruption, here the buildings are even better preserved, and the site is much smaller, so far more manageable if time is tight. Finally, a visit to Capri was an opportunity to see how the rich and famous live! 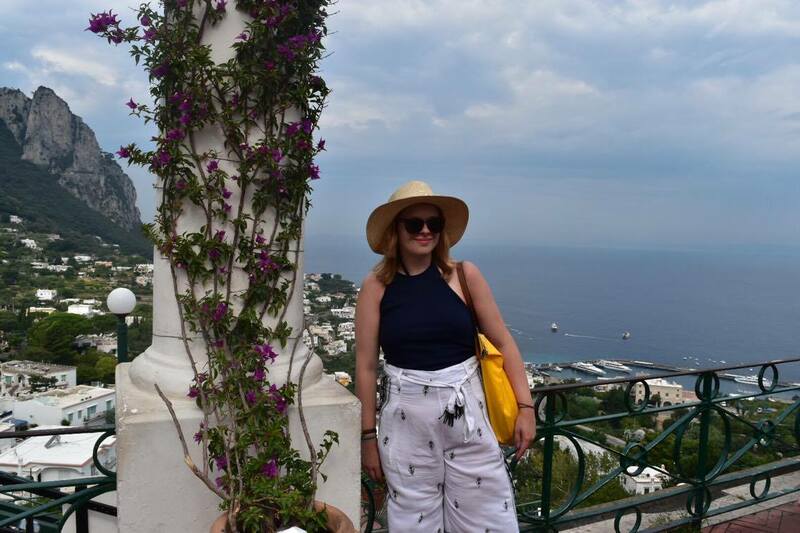 I did enjoy the views and sights from Capri down onto the harbour as the town is on a incline, so its a steep walk or funicular (train) journey to the top! The shops are full of well known designer labels so if you have some cash to spend this is certainly the place to do this in style. 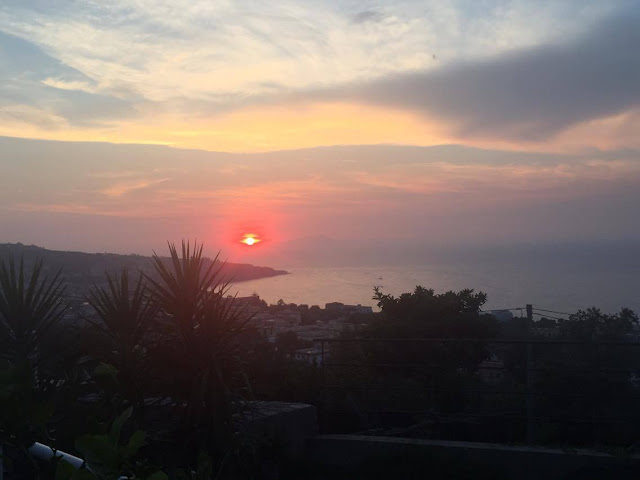 I would to hear about your trips to Sorrento, if you have been before and see if you have been to similar places to me. 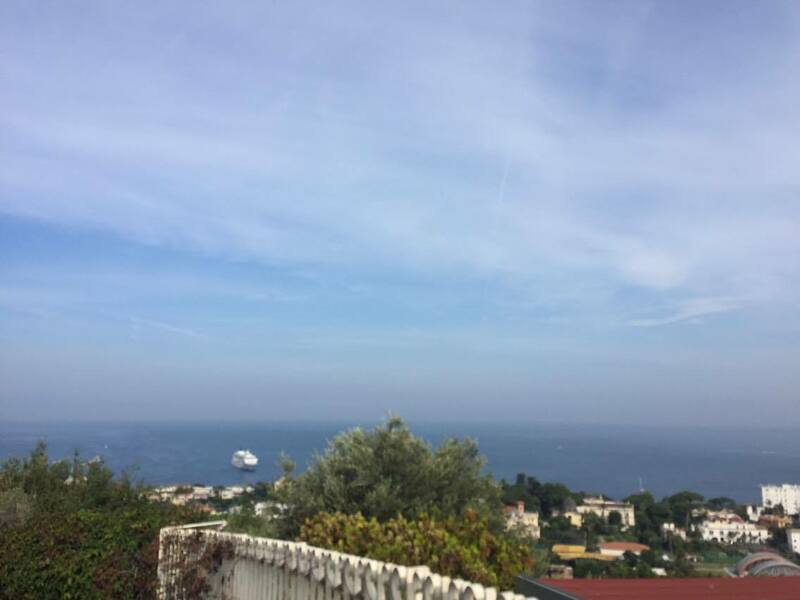 This only a brief post about a few sights in Sorrento so keep reading to hear more about my trip to Sorrento.